Things are hard for most people right now, and it looks as it is only going to get worse. People and families need help to survive this so called economic downturn. (Recession in any other language.) Here is a guide to help people survive. The keys are Prioritizing and budgeting combined with change and sacrifice. Rent or mortgage, food, essential bills, health insurance, car payments, car insurance, gas, clothing, personal hygiene and then entertainment and luxuries at the bottom. It is OK to have a non-essential item in your budget. It is your quality of life we are dealing with. What is important to you is not going to be the same for everyone else. Once you know what you value, what your goals are then you can start figuring out how to budget your goals. For a lot of people what they prioritize is going to be completely different then other people. One lady I know wants to be able to go out and have coffee with her friends several times a week. She knows she cannot go out for meals anymore but she still wants to be able to go out and socialize over a cup of coffee. For my husband getting the credit card bills paid down, and keeping his credit good is his priority. For me it is keeping food on our shelves and making sure our kids have snacks and a drink box for school. Everyone values different things and that is OK, make sure when you are prioritizing you are honest with yourself and pick the things that you really value not what you think you should value. Budgeting. Once you know what you need to have in your life you can make a budget. First you need to know what money you have coming in, where money is actually going verses where you need it to go. You need to understand where your money has been going so you can make changes. The best thing to do is write a list of your bills and when they have to be paid. Figure out what bills can be paid when, with what paycheck keeping in mind the need to buy food and other things. If making a budget is difficult for you there are a lot of agencies who will help you make one, some are free, others will charge you. Find out what is available in your local area. There is no shame in turning for help with your finances. It does not mean you are a failure, it just means you are like most people and need guidance from a third party that is not emotionally invested in your finances. If there is no one available locally there are quite a few sites on the Internet that can help you create a budget. There are many different ways to live with a budget successfully. One is to pay the important items as soon as you have the money even if it is not due yet. This way you don’t have to worry about it and you will not spend the money on something else. Another is post dated checks, if you are the type to remember them and not end up with NSF charges because you forgot you wrote them (that’s is me). A good system is the cash in jar or envelops. 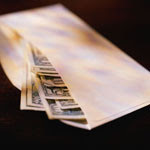 When you get your money it is taken out of the bank and divided into envelopes. Each envelope has a label on in it showing what the money is for. Only the amount you need is put into it. So if you have budgeted $100 for food each week, then that is all that goes into the food envelop. For a lot of people it is easer to follow a budget when it is cash on hand. What you have is it, you can see it and touch in and feel its loss when it is gone. You just don’t get that with Interac. Find the budget system that works for you. Stop using credit cards. You are only barrowing money that you will have to pay interest on. Often times this is where people get into trouble. They owe so much that all their money goes to the credit card and then they have to use what is on the credit card to live. As tempting as it is, do not use the credit card. Start using money and pay down your card with what you have left. Change and Sacrifice. Unfortunately with today’s economy the only way to get through it is to make changes and sacrifices. That is what the prioritizing was all about, figuring out where you were going to have to make changes and what you had to give up. Change is hard on all of us but it needs to be done now before things get even worse. Identifying where your money is actually going verses where you need it to go is a huge part of making changes. 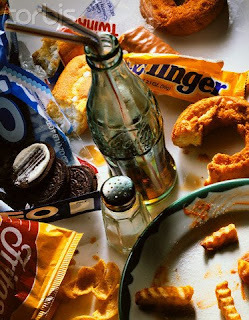 One of the biggest money suckers is on the go food and drink. Figure out how much money you spend on coffees, teas, pop, snacks, lunch out, dinner out, or delivery. It is actually kind of scary how quickly that all adds up. For a week keep every receipt and each day keep track of what you spent on each item. At the end of the week add it all up. How much did you spend on coffee, tea or some other drink in a week? What about snacks? Stop buying stuff on the go, instead find other options like taking a lunch and snacks. By changing this one thing you can save a lot of money. 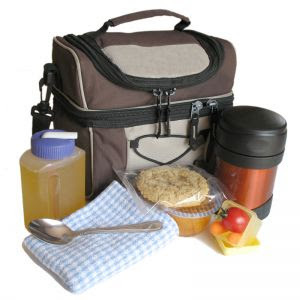 How do you change from buying food and drink on the go all the time. Start planning. Make your lunch the night before. Start making dinner larger and take leftovers for lunch. By snacks foods or make snacks and take them with you just in case you get hungry. Start taking a thermos of coffee or tea. Bring a water bottle with you. If you like water fill it up at a tap instead of buying bottled water. Buy the big containers of juice crystals, gateraid, ice tea or apple cider and then make it in your water bottle. It is all about planning and thinking about what is going to cost less. One way that worked for me is re-evaluating how I judge the value of something. A hamburger meal is not $5.00 to me but a bag of milk or two meals worth of hamburger. Don’t think about it as only $5.00 but what could you buy instead. It is funny how things value change when you don’t think about it in terms of money but in terms of what else you could get for the same amount of money. Figure out what is the best value for your money when shopping. Big rule of thumb is it does not matter how much you saved on something if people will not use it, wear it or eat it. Make sure you are getting value for your money. A good example of this is no name pudding: No one in my house like the taste of it, so it is not worth it for me to buy it, even if it is a dollar cheaper. Going with no name products can save you money as long as it actually gets used. 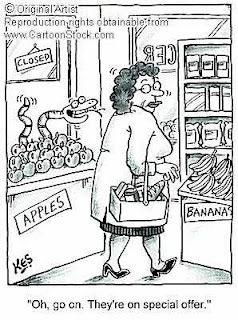 Look for sales, coupons and value priced (no-name or store brand) products, do the price comparisons because even when something is on sale does not mean it is the best deal. When I shop if it is not on sale I will usually not buy it, however if there is an item we use on sale I will often buy as much of it as I can, depending on how good the sale is. Turn things off when not in use. This was a hard one for us. We left the T.V. on all the time, even when we went out, same with some lights. We have had to force ourselves to be more aware of what we had on and to turn things off. In Ontario the hydro company has just installed smart meters that will track not only how much electricity we are using but when. Soon they will be changing the billing process so that what we pay will depend on the day and time that we used the electricity, any where between 3 cents/kWh to 9 cents/kWh. This is going to change how we do things. Buying secondhand before new is also a way to save money. There are a lot of secondhand stores around, though you still have to shop around. 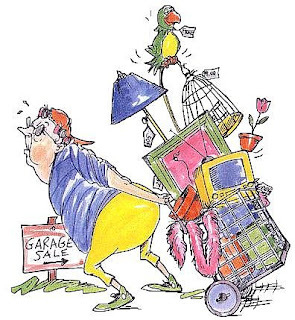 Garage sales, Mom to mom sales, kijiji, craigs list, and the classifieds can save you money. Going to clothing and furniture exchanges is also a great way to save money and help others. The idea is that you bring what you don’t use anymore and drop it off, and take what you can use. This has been great for kids clothing as kids tend to grow out of things faster then we can buy them. See if your local area has one, if not see if someone is willing to start one, often church’s, community centers or food banks are willing to have them. Freecycle is an online clothing and furniture exchange. Each local community has one for their area and it is done all by email. It is incredibly helpful. If possible start using the food banks. Even if they don’t have much to give it still frees up some of your money for other things. Sometimes $5.00 makes a huge difference. It is going to take a lot of work on your part to make changes that you can live with. Things are going to have to be sacrificed. As money becomes even tighter we will have to give things up just to be able to continue paying bills. By prioritizing first you will know what you can and are willing to give up. The sooner you make the changes the better it will be. I must say that is a lot of information. I am really liking the Blog's name. Haha, it goes well with everything. I like the useful information about the survival guide. Everything looks good to me. Somewhere along the way I lost my name!